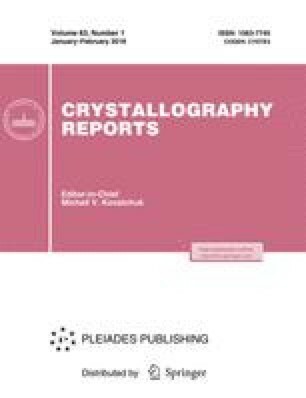 The electrical characteristics of single crystals of strontium-barium niobate solid solutions have been studied. The temperature dependences of the electrical conductivity were obtained for different SBN compositions, nominally pure SBN:61 and SBN:75 and SBN doped with rare earth and transition-metal impurities. The influence of the chemical composition of a solid solution, thermal treatment conditions, dopant concentration, and electrode type on the specific features of the electrical conductivity of single crystals in the temperature range 20–450°C is shown. Original Russian Text © L.I. Ivleva, N.S. Kozlova, E.V. Zabelina, 2007, published in Kristallografiya, 2007, Vol. 52, No. 2, pp. 344–347.